You can expect to receive your order within 3-6 working days at most destinations. Products can be returned or exchanged within 14 days of receipt. Welcome to Le Shop. 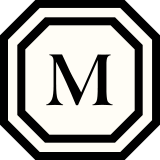 Le Shop and/or its affiliates (“The Mark”) provide website features and other products and services to you when you visit or shop at TheMarkHotel.com, or use The Mark products or services. The Mark provides Le Shop subject to the following conditions. 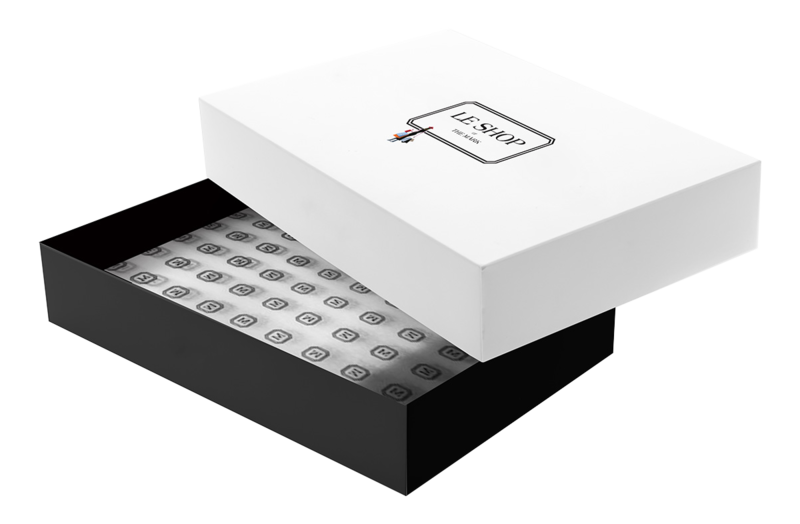 You acknowledge that any personal information that you provide through Le Shop will be used by The Mark. We receive and store any information you enter on our Web site or give us in any other way. 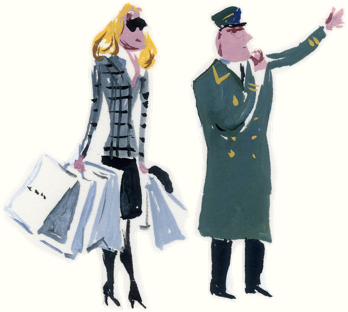 We use the information that you provide for such purposes as responding to your requests, customizing future shopping for you, improving our stores, and communicating with you. When you use Le Shop, or send e-mails, text messages, and other communications from your desktop or mobile device to us, you may be communicating with us electronically. You consent to receive communications from us electronically, such as e-mails, texts, mobile push notices, or notices and messages on this site or through the other Le Shop. You agree that all agreements, notices, disclosures, and other communications that we provide to you electronically satisfy any legal requirement that such communications be in writing. The Mark attempts to be as accurate as possible. However, The Mark does not warrant that product descriptions or other content of any Le Shop is accurate, complete, reliable, current, or error-free. If a product offered by Le Shop itself is not as described, your sole remedy is to return it in unused condition. 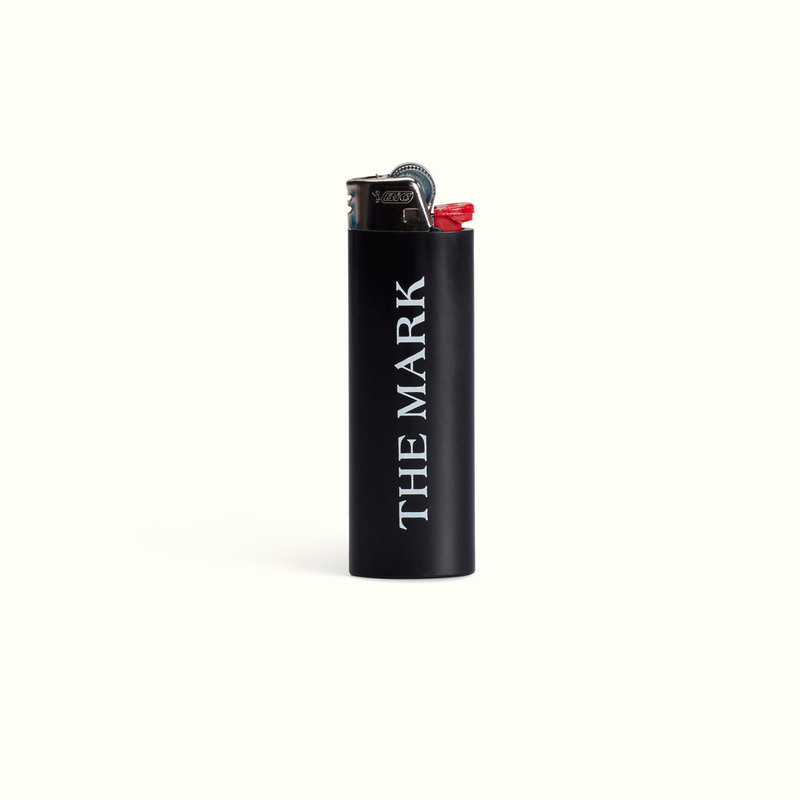 Cozy up by the fireplace or indulge in your favorite candle scent with The Mark's small or large lighter. 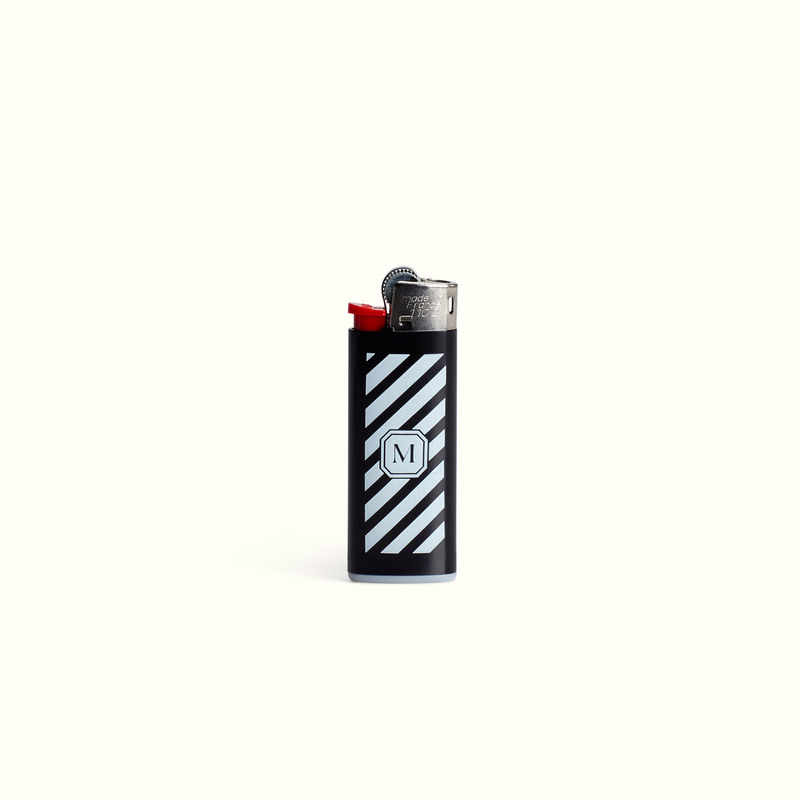 The black lighter is labeled with The Mark logo in white. 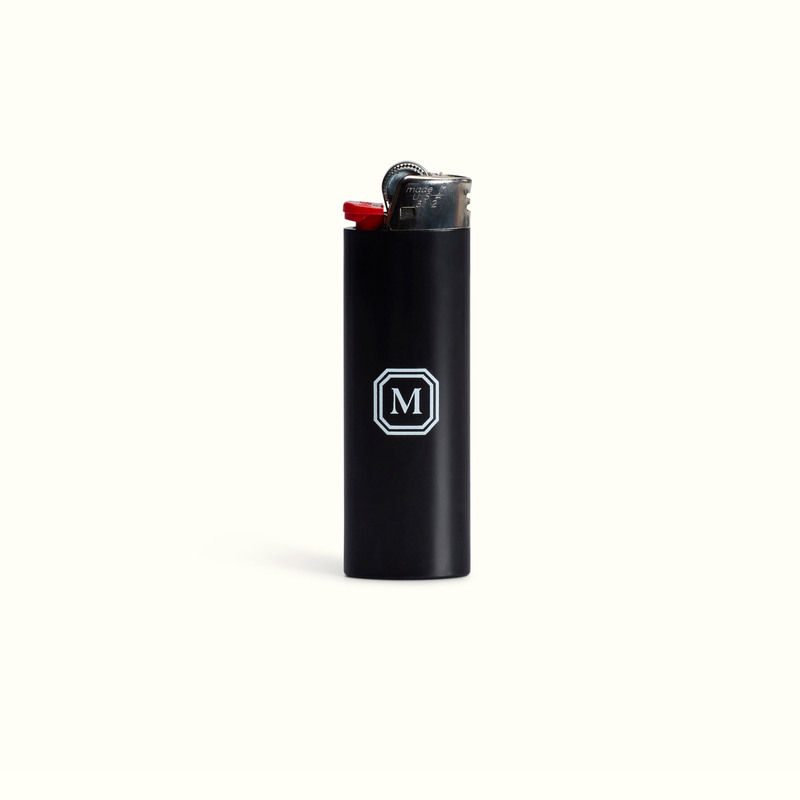 The large lighter is labeled with The Mark logo in white, while the small lighter is detailed with The Mark's M monogram and black and white stripes. 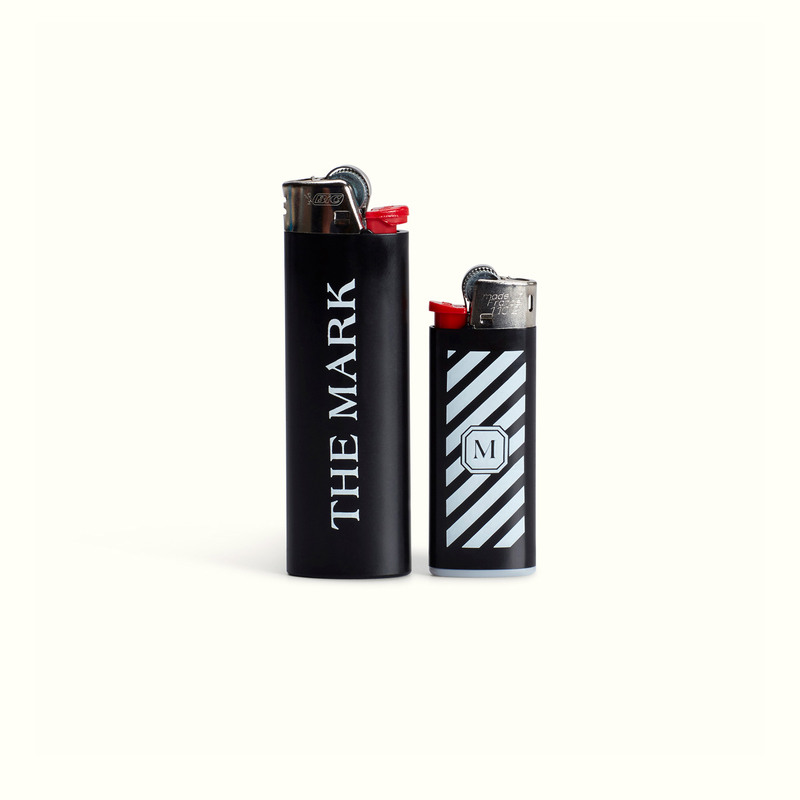 Small: 3/4" wide, 2 1/4" tall Large: 1" wide, 3" tall Please note that The Mark Lighters are only available for domestic orders and cannot be shipped internationally.